Mrs. Shife and I are celebrating our 13th. It seems like yesterday that I was told to take some shots to calm my nerves before I walked down the aisle to wait for the love of my life. Friends of the bride saw how nervous I was and made me take two shots to help me become less nervous. It looks like lace is the gift to give when you hit 13. I found a nice little outfit that I will wear for Mrs. Shife. What color do you think I should get? I'm leaning towards the light blue. I think it will really make my blue eyes pop. We will probably go out for dinner or catch a movie to celebrate. Having someone watch the kids and put them to bed is a pretty darn good present. Speaking of movies, I was looking for something to watch because Mrs. Shife thought beer and popcorn sounded like a good idea. We have two theaters in town where can enjoy a film and an adult beverage. Unfortunately, most of their choices are not that appealing. I'm still trying to figure out why this theater is giving a VIP 21 experience for the new Lego movie. I mean it makes sense if you can take your kids with you into these special balcony seats but only those 21 or older are allowed. "Hey man, you want to go check out the new Lego movie and drink beers at 11:30 in the morning on Saturday. It will be totally awesome." Have you heard of the mad pooper? You're welcome. And my GIF to you. And you're welcome again. Thanks for stopping by. Have a great weekend and I will talk to you soon. I can still see you giving a toast at the reception. can finally tell R that I voted for Bill Clinton. Twice." Abby wants a box of slinkies to launch at the squirrel. Happy Anniversary. I hope you enjoy your special day. Best wishes on your anniversary, Mr & Mrs Shife! Yes, that lace outfit is quite the thing . . . and by "quite the thing" I mean your wife may just pass out from laughing if you get one :) Love the picture. Happy Anniversary. Hope you have a great time trying on that blue outfit. happy anniversary mr shife! time for 13 shots? 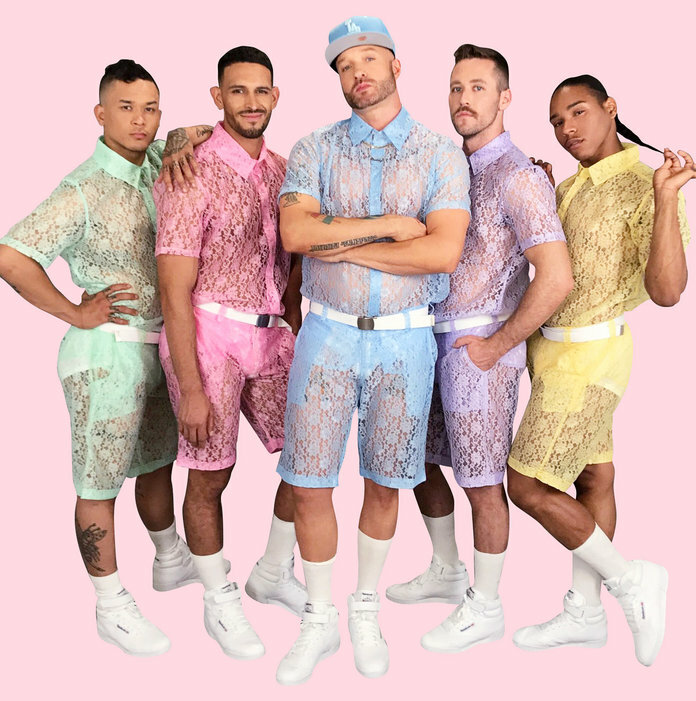 The lace outfits are a definite go. You couldn't go wrong with any of them. Happy Anniversary! I think you should wear matching outfits, although it will probably look a little better on the Mrs. I heard about the pooper lady, good grief! Two things. First, I don't drink, but after sitting through two of the Lego movies with my boy I felt it could be an option. It's nice to have a theater that understands that. Second, I'm definitely not afraid to do an image search on the lace outfit photo.